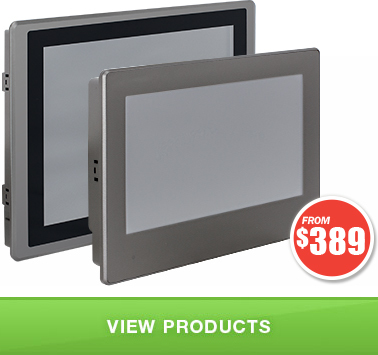 What is an HMI Touch Panel? A Human-Machine Interface (HMI) touch panel device is simply an interface between a user and a machine or control system in a manufacturing process. 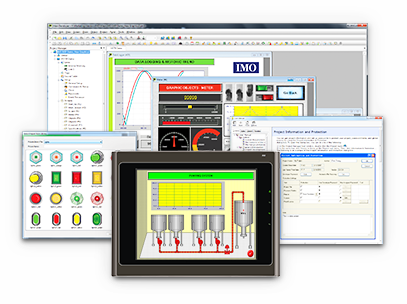 More specifically, an HMI screen depicts a textual, graphical, and/or visual representation of the status of a control system by collecting, recording, and displaying data in real-time. 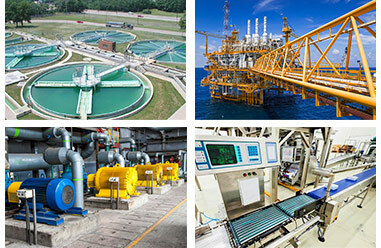 HMI touch panels are closely associated with industrial and mechanical process control systems, and can be used in industries including, but not limited to: motion control, packaging machinery, food processing, pump control, water & wastewater treatment, oil & gas, vehicle management, environmental control, alarm systems, building management, etc. 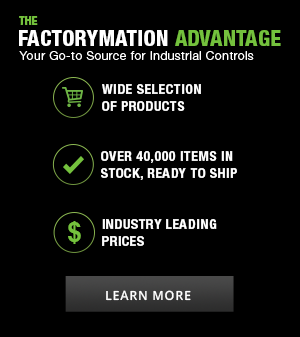 For a machine or manufacturing line to be connected to an HMI touch screen, it must first be connected to a device such as a programmable logic controller (PLC), variable frequency drive (VFD), or other controller. 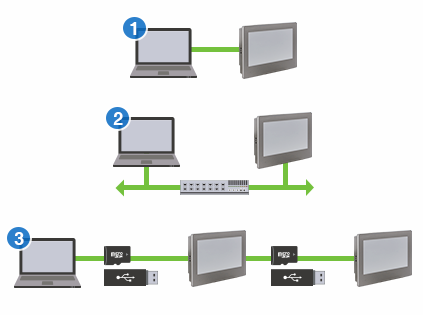 The PLC, VFD, or other controller collects the information from the machine sensors and then formats the data to create a message that can communicate with the HMI touch panel to allow for it to interpret and display the information provided. 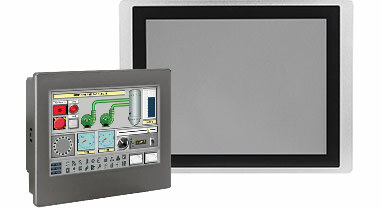 The main advantages of using HMI touch screen device are: high quality visuals of machine/production processes, improvements in communication amongst equipment in a production line, mainstreaming industrial systems by using an HMI in the place of using push buttons, LED lights, selectors, etc., and detection of system/equipment malfunctions through indicators and alarms present in HMI panel programming. 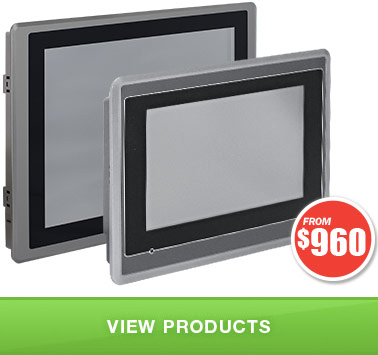 Overall, the main goal in using an HMI touch panel device is to create a user interface that allows for efficient and user-friendly control of devices or production lines to provide optimal outputs in an automotive or industrial setting. USB Type A for peripherals such as mice, keyboards, and barcode scanners. 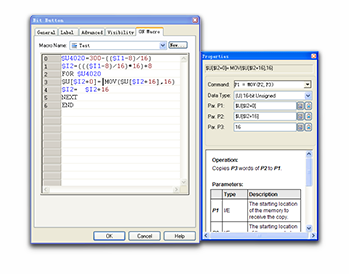 USB Type B for HMI programming. Allows for expansion of storage space up to an additional 16GB. 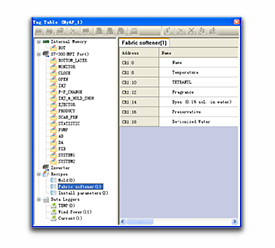 Easily remove card for reprogramming or to transfer data logs. 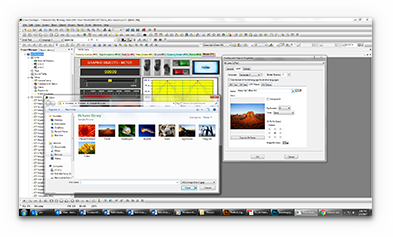 Fully functional iView Developer Programming software with online help. No demo time-outs. Click here to download. 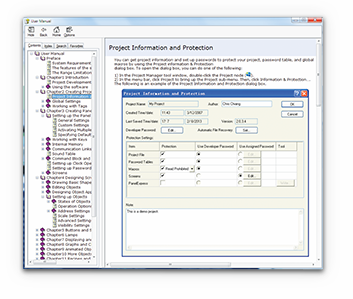 The iView Developer is a powerful and easy to use program that features a drag and drop interface to quickly get your application off the ground. 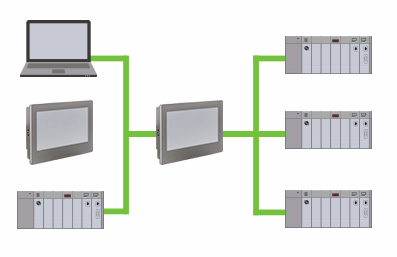 Run simulations without the need for a panel to be connected. 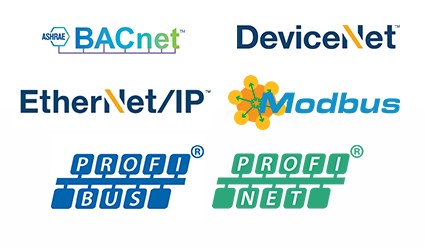 No license fee, no registration, no expiration. iView Developer is free and yours to keep. Download and install the full version to try it for yourself before purchasing a panel. Simply drag and drop your graphic where you want it then resize it as you see fit. A convenient grid is provided for ease of alignment and sizing. Use animation paths to have objects move on screen to illustrate product movement through the factory. Don’t like what’s built-in? Use your own! 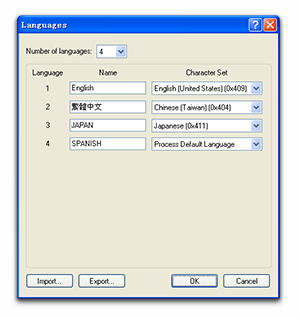 iView developer doesn’t require a panel to be connected in order to simulate an application. 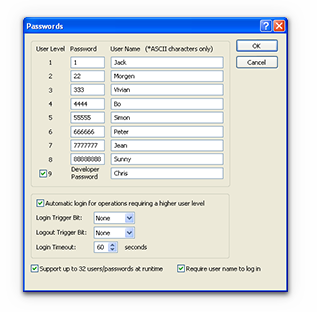 Since our software is free to download you can test your application before purchasing a panel! Simulation behaves exactly like the real thing.